Shop-Local Canada: Blog ~ Oktoberfest: A Great Opportunity to Shop Local! Oktoberfest: A Great Opportunity to Shop Local! 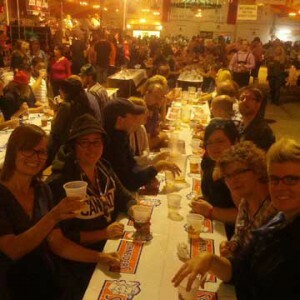 If you live in the Waterloo region, you are no doubt gearing up for the sights and sounds of Oktoberfest 2014 and dreaming of sausage, beer and pretzels. We here at Shop-Local love those things but we also see this time of year as a perfect time to show our guests the local and interesting flavour of the region. We understand that visiting the numerous Festhallens in the area is the biggest draw for most of our guests, we also need to show them that our locally owned businesses make this region the interesting and special place that it is. If I was a visitor to our beautiful and dynamic region I would want to search out those places that make it unique. Help your guests to “Ditch the Chains” and support a locally owned business whether it be for beer or books. Our Shop Local Business Directory gives you a comprehensive list of locally owned businesses within the area. You will not find chain stores or large corporations here just locally owned independent businesses committed to providing great service. Take your guests somewhere new and entertaining this weekend. Why not visit Block 3 Brewing for some very unique and interesting beer flavours. These folks are super cool and very gracious. You can sample their beers and take a tour of their brewing facility. Afterward stay and purchase a glass and sit and play a game of Jenga. We did and had a blast! Don’t forget to take home a growler or two for the friends at home. Stroll Uptown Waterloo and say hi to Dave at Words WorthBooks. Pick up a copy of the new novel Girl Runner by local author Carrie Snyder. You will find a large selection of books and magazines devoted to the region. When you need to satisfy your sweet tooth cravings, drop into your favorite bakery. They serve made from scratch macarons and delicious cakes and delicacies. No need to go to a corporate chains for coffee or tea, the Honey Bake Shop has got you covered with Fair Trade Coffee and a great selection of tea offerings. Studies show that a whopping 46% of money spent at locally owned businesses actually stay within the local community. With the almost 700 000 visitors to the region during Oktoberfest and Thanksgiving, it makes sense for all of us to encourage our guests to buy and support locally owned businesses.